Ways to make eyes glamorous as the party season starts have been offered in Irish paper the Galway Advertiser. Colour Me Beautiful image consultant Mary Hearne told the paper that it is important to use an eye base to prevent eyeshadow from developing a creased appearance as the night goes on. She also said that using highlighter underneath the eyebrows can "lift the eyes", while well maintained brows give "definition to the eyes and face". Furthermore, women should emphasise either their eyes or their lips, but not both. "Wear bold strong eyeshadow colours with eyeliner and soft lip colouring or concentrate on a bright red or strong fuchsia pink, some gloss and away you go," Ms Hearne stated. 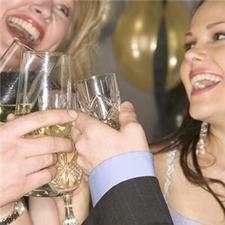 Teenagers who are partying and do not want to wear their glasses can wear contact lenses, according to a manufacturer. Acuvue says that it is fine for teenagers to wear contact lenses and that 13 is the average age to start.